I am a freelance writer living in Brisbane and have a Bachelor of Journalism from QUT. 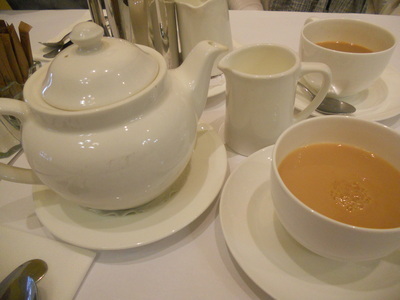 High Tea is one of the nicest things to do in Brisbane. Over recent years, it has grown in popularity; it seems a lot of people are thinking the same. 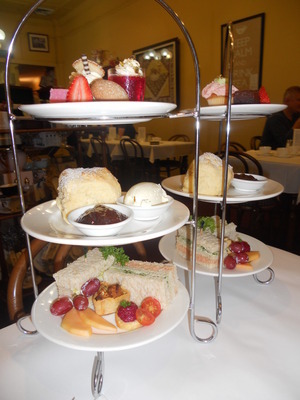 One of the original pioneers to bring High Tea to Brisbane is Queenies Traditional Tea House in Nundah. Established in 2002, Queenies is a Café and Tea House which offers only the best quality tea and fine foods. The Queenies menu offers not only just High Tea but also an array of lunch/brunch items and delicious individual desserts. There are also over 100 loose leaf teas to choose from, which are sure to delight the senses. From traditional black, earl grey to fruit blends, there is something for everyone. Coffee lovers do not have to feel left out either, I am told the Queenies House Blend is a very satisfying brew. Queenies Imperial High Tea offers only the best of the best, including a pot of tea or coffee with a traditional three tier stand. As part of High Tea etiquette, you are to start at the bottom and work your way to the top. The bottom plate offers two tea house ribbon sandwiches, a savoury tartlet and seasonal fruits. The middle plate includes the most delectable scone with jam and cream that you will ever eat. To finish, a petite cake and slice with a sweet biscuit and Champagne and Rose water jelly. Queenies offers an intimate indoor dinning setting for up to 34 people. The décor is as you would expect, clean and elegant. Soft music and light provides a great ambiance to catch up with friends and family or enjoy a quiet meal on your own. 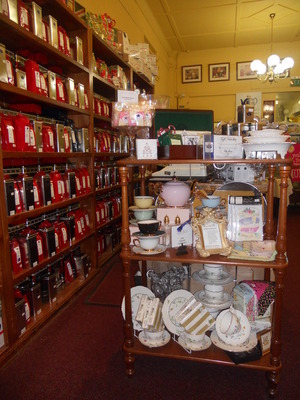 Queenies also has a shop where you can purchase you favourite tea and accessories. You may also buy online via the website. Trading hours are Monday to Saturday from 10am to 4pm with Sunday by arrangement only for groups of 15 or more. For enquiries and reservations phone: 07 3266 6632. Why? Because High Tea is beautiful and delicious.